Educators want to better support their students for life beyond high school, but they need the tools, skills, and strategies to implement change. The College and Career Leadership Institute provides this opportunity by working with school teams through a series of full-day workshops and monthly school-based meetings throughout the year. For the 2018-19 school year, 11 participating high schools that serve 16,000 students in our region are working on system improvements so that more low-income students and youth of color have a meaningful, high-quality plan for college and career. 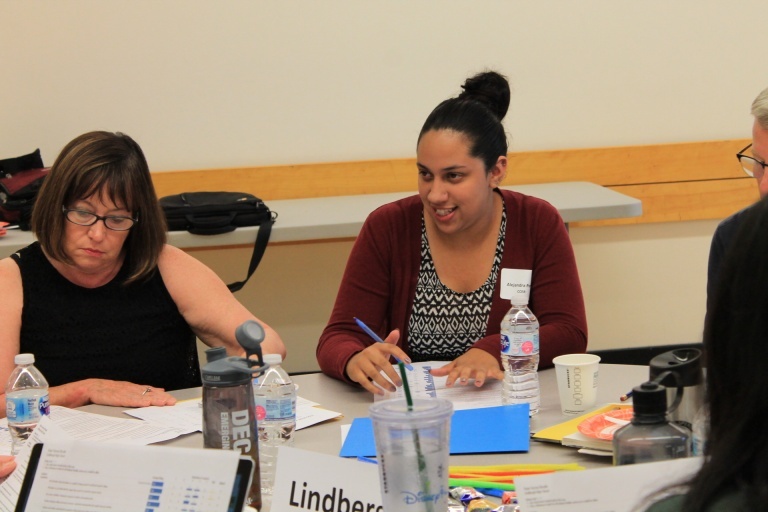 During workshops and meetings, staff are reviewing school data, engaging in planning time, problem solving with other educators, and sharing best practices.